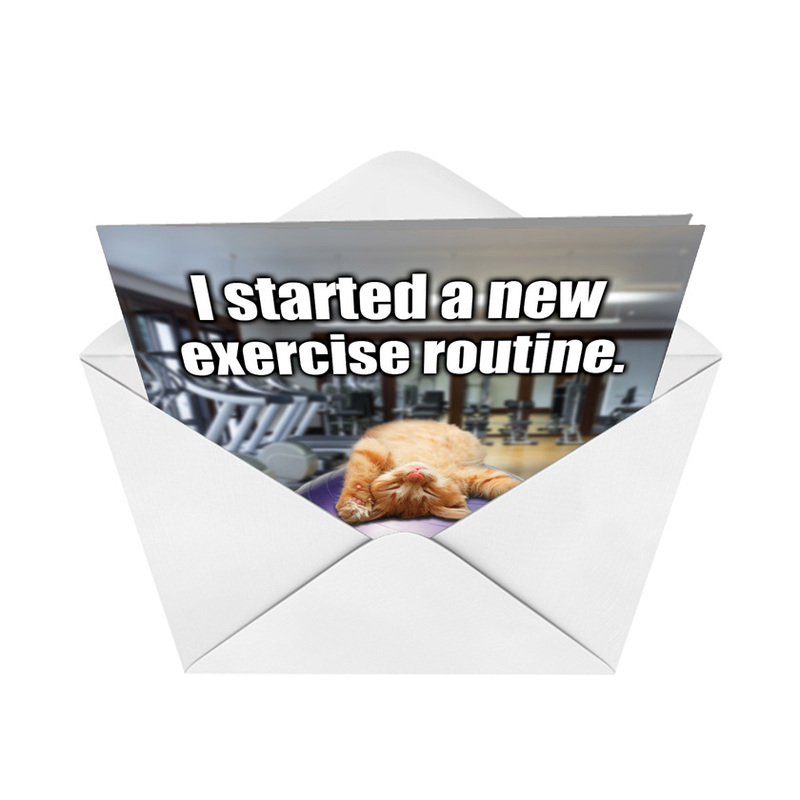 Cover Reads: I Started A New Exercise Routine. Every Day I Do Diddly-Squats. 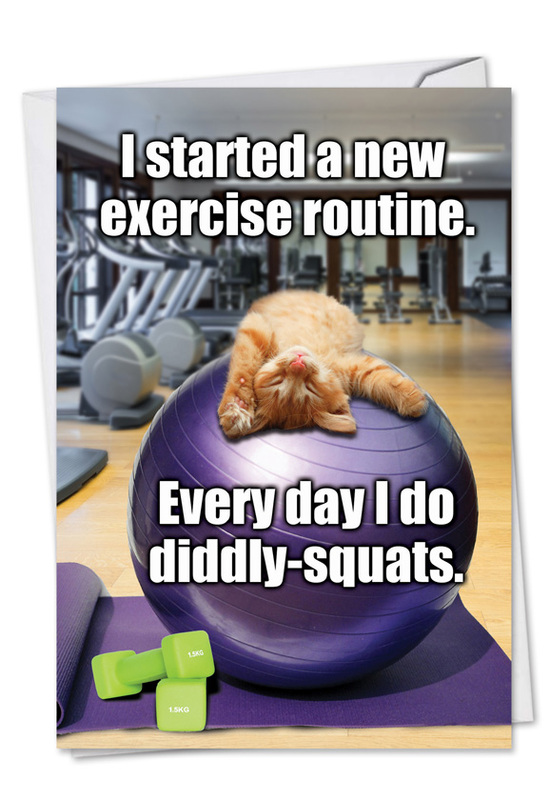 The Diddly Squats Birthday Funny Paper Card available at NobleWorks Cards offers the ultimate example of funny feline humor in a standout offering from the PetiGreet line of greeting cards. Does your cat go to the gym? Does anyone's cat exhibit such a work ethic, or any work ethic at all? You don't have to be a cat lover-and, in fact, it may be better if you aren't-to appreciate the humor in this side-splitting card showing a cat on an exercise ball. 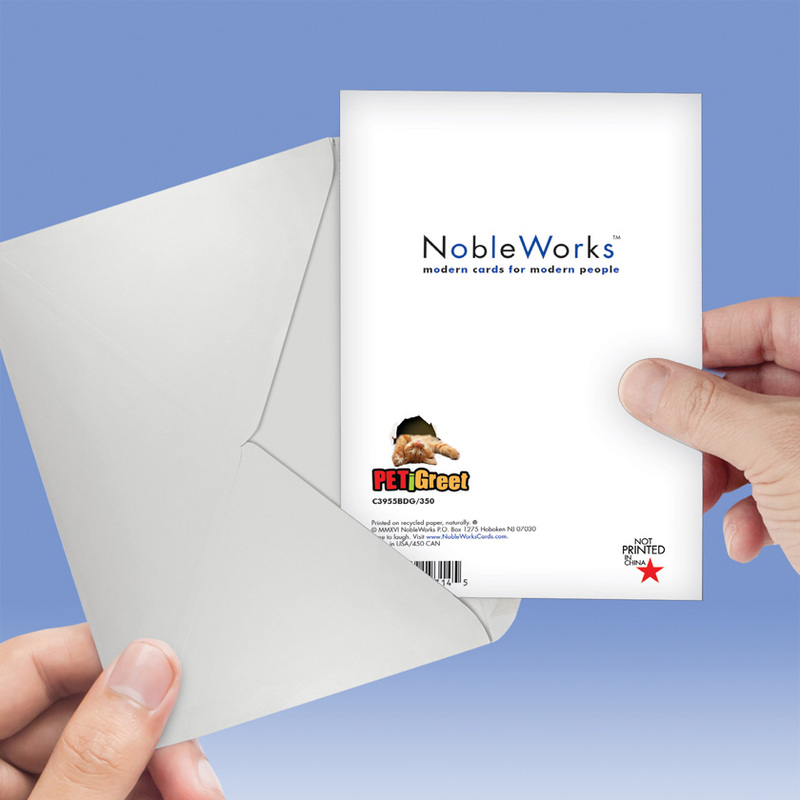 Printed in the U.S. on recycled card stock, this card might not be feline-friendly, but it is environmentally friendly. 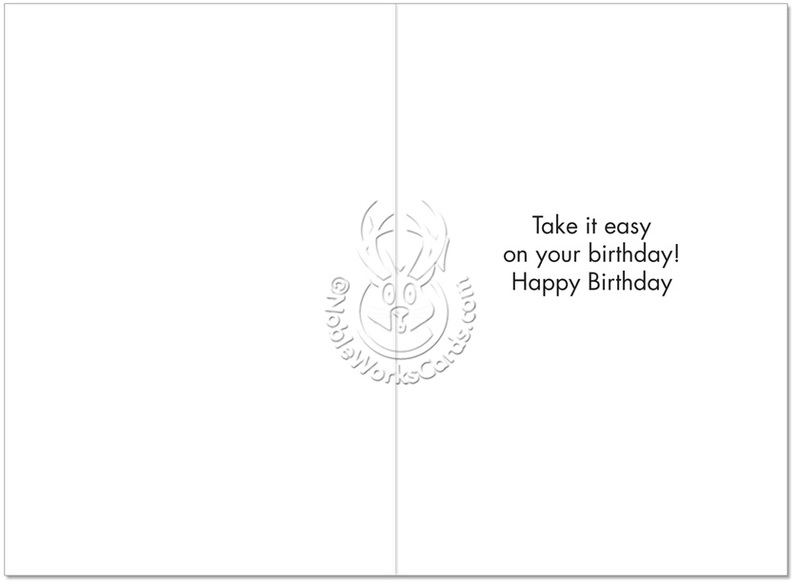 Offered with free shipping from NobleWorks Cards, the Diddly Squats Birthday Funny Paper Card is eligible for bulk pricing, so the card actually costs less per unit when you order several than if you order a single card. The more you order, the more you save. This card and all the others I bought from NobleWorks are great. I will never purchase a greeting card from a store again! You guys have the best cards! Thank you!!! if u love cats, you'll love this one ! I've sent this card to several friends and most knew without seeing my signature that it was from me. I love it.